Capt. 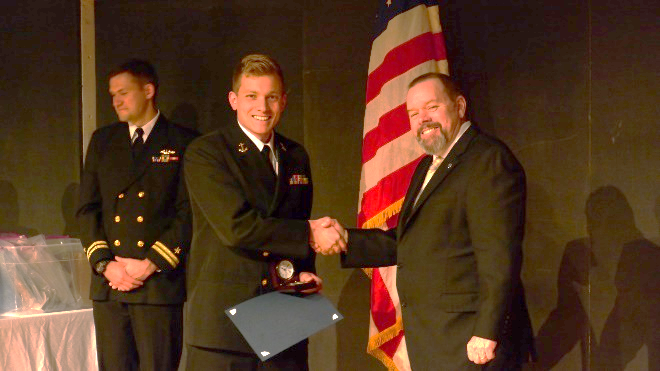 Jon Minor (USCG Ret.) 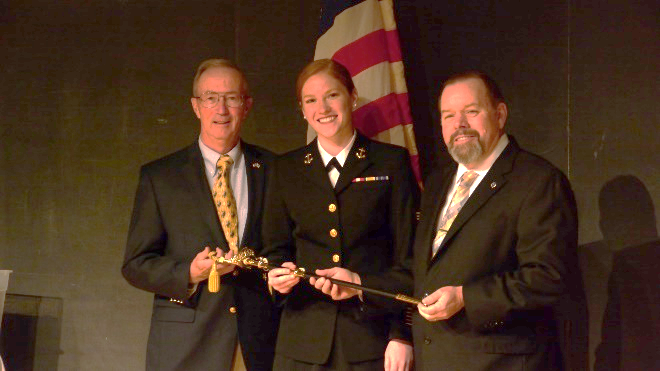 and Council President Bob MacPherson present the 2018 NROTC sword award to MIDN Elise Meszaros. Council President Bob MacPherson presents the MIDN of the Year (2018) to MIDN Michael DiBacco. 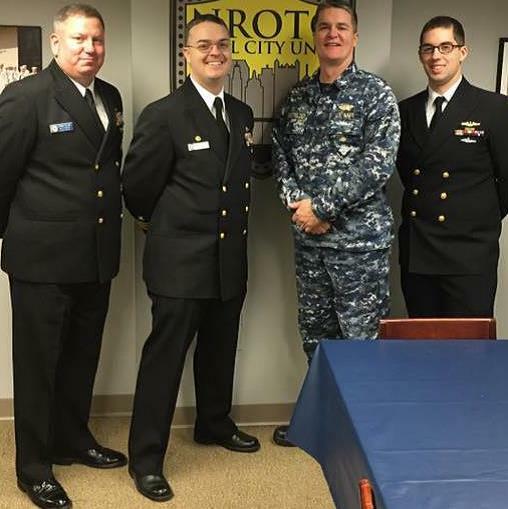 Visit by the then USS Pittsburgh CO CDR Neil Colston, in 2017. 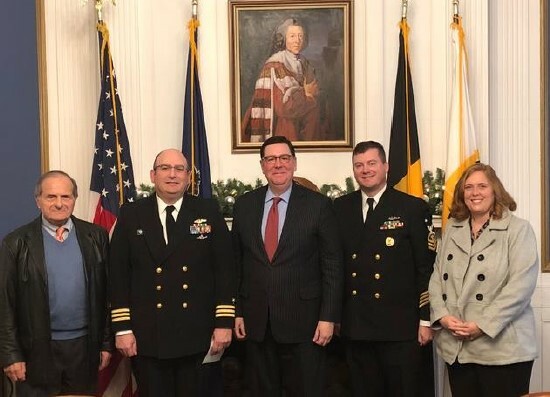 From L to R: John Caspero Pittsburgh Council Relief Crew; CDR Colston; Pittsburgh Mayor Bill Peduto; Master Chief Dave Lewis and Mrs. Katie Lewis. Our own Polly Bozdech-Veater, CAPT, USN,ret. 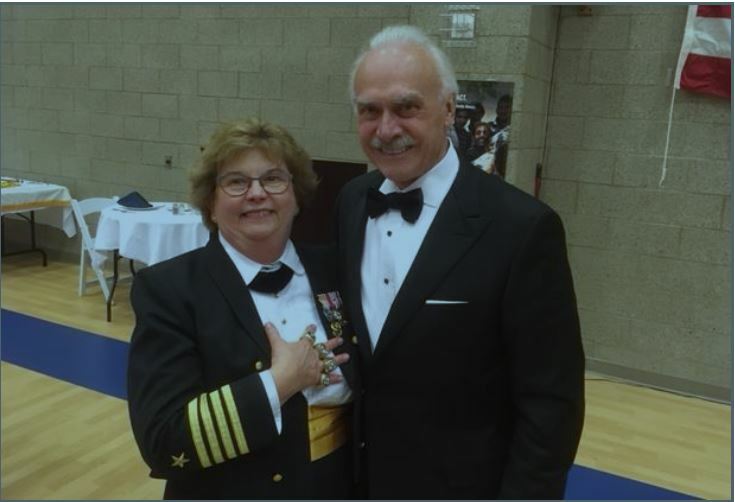 with Steeler great Rocky Bleier at the 2017 Joint Armed Service Ball. Polly got to wear Rocky's four Super Bowl rings. 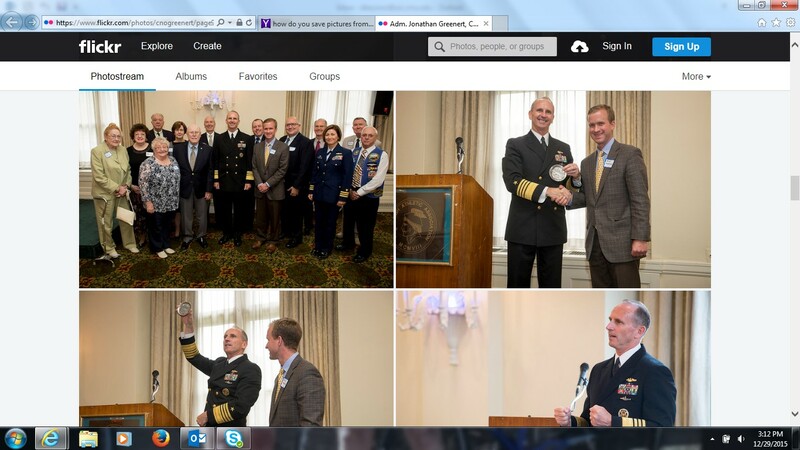 In November 2016, members of the USS Pennsylvania, Ballistic Missile Submarine, paid a visit to Pittsburgh. Council President Bob MacPherson accompanied them on a number of local industry, academic and commercial meetings. 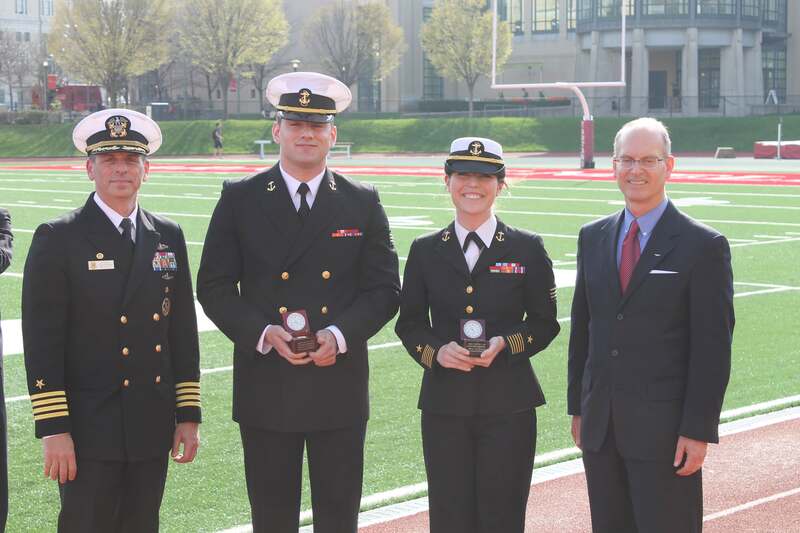 A visit with the Steel City NROTC, pictured below, and Midshipmen was included. See the 4th Quarter 2016 Port of Pittsburgh Newsletter for a complete summary. CNO Jonathan Greenert with Council Board of Directors and Brad Harrison, Council President.